The modern spring has existed since the 15th century and has been used in a staggering range of fields. Despite their outward simplicity, they are continuously used in demanding and safety-critical jobs, and are available in a wealth of shapes, sizes, and designs. So, what is it that makes springs so essential for day-to-day and specialist use, and why will companies always have need of them? How Can a Spring Take So Much Strain? To understand how springs can endure so much strain, it is first necessary to understand the concept of elastic deformity. Put simply, this concept describes an object’s ability to withstand stress without breaking or being permanently broken or unusable. You can see this in action in the spring of a click-top pen. If you have one that has run out of ink, you can unscrew the top of the pen and remove the small spring surrounding the plastic ink reservoir. Squeezing this spring between your fingers stores the kinetic energy in its coils, and safely releases it once the pressure is removed. Now, take either end of that spring and try to stretch it out as far as you can. Once released, the spring will remain elongated or return to an irregular shape. This is because it has reached its elastic deformation limit and, consequently, is no longer usable. A spring’s coiled structure allows it to safely yield to and then return from external pressures when applied, and its creation from metals allows it to be durable, relatively lightweight, and straightforward to machine and manufacture. Like with any of the best pieces of engineering, this simplicity, reliability, and capacity to meet stresses and pressures makes springs an essential part of any number of complex machines. Why do We Continue to Use Them? 1. They are simply right for the job – The spring’s incredible capacity for elastic deformity and its ability to safely compress make it the perfect elegant mechanism. Along with being relatively straightforward to produce, their simplicity greatly reduces the number of variables that can go wrong with their use, and they are easy to replace and deploy. 2. They come with years of engineering craft – Springs have existed for centuries and have been road-tested in the field long before modern research and technology. At their core, springs are refined and effective, combining contemporary production and quality standards to make sure they are durable and fit for purpose. 3. They have a wealth of potential uses – Despite having a simple design, their practical application can often be anything but. Custom spring manufacturers can shape the item into a range of surprisingly complex forms to fit any number of bespoke needs. These can range from the tiny individual springs in a hand-made watch with a specific number of actions, to highly-specific parts of important machinery, ensuring that they meet client needs, work as required and can be relied on to function as originally intended. 4. 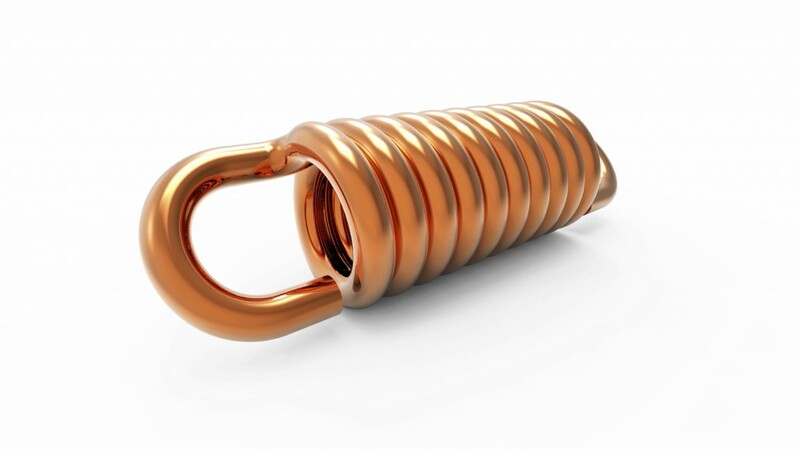 They are efficient at storing energy – A well-designed compression spring will return nearly all the energy stored when released, even after many years. Compression springs may be fitted in assembly in a compressed state and are only released years later when needed, such as in a fire extinguisher. To learn more about our range of products and the range of standardised and bespoke items we offer, get in touch today.